It's the first week of the Fall 2018 One Room Challenge! 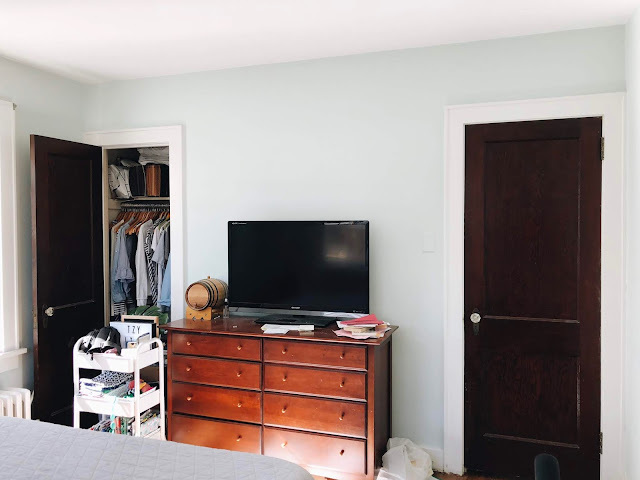 I am so excited to be a rookie participant and eager to get to work on creating a master bedroom space that is the perfect retreat from long work days and weekend projects. 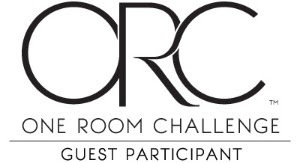 For those of you unfamiliar with ORC, it is a 6-week design challenge following 20 featured designers and hundreds of guest participants. Beginning October 4th, designers share their spaces and design plans for a fast paced make-over revealing their finished spaces on November 7th. 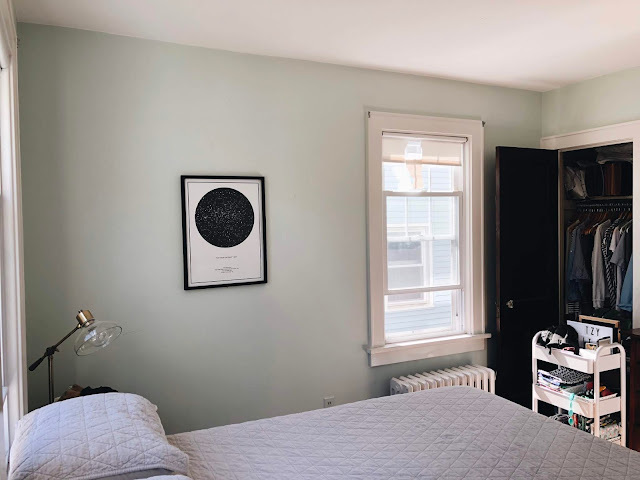 Our small master bedroom has become a catchall for all things baby, toddler, mail, work supplies, etc. Limited layout options, limited storage and poor use of current storage are not helping. Not to mention there are scribbles on the walls and the current window pulls are literally falling apart creating less and less privacy. One side table lamp just does not cut it when it comes to evening light and the electrical is a little outdated. Below, I have shared some of the unfiltered and cringe worthy "before" photos of the space. Ready. Set. Here goes nothing! Follow along each week to see the progress of each of the Featured Designers and Guest Participants!